Our friends Paul and Erin rented a house in Kill Devil Hills for the week and invited several of us to join them near the end of their stay. Naturally we obliged and by Friday night a total of twelve friends made the small cottage home for the weekend. We danced the night away on Friday night and spent much of the following day basking in the sun. The beach was a mere 100 yards away, so we took trips to and from the cottage throughout the day. Paul rented a sea kayak and entertained us all as he rode waves and wiped out heroically before our eyes. That night, while the rest of our crew played beer pong and got generally hammered, Rebecca and I snuck away to visit my Mom in Southern Shores. She and her husband John, quite by coincidence, had rented a house for the week beginning that weekend. 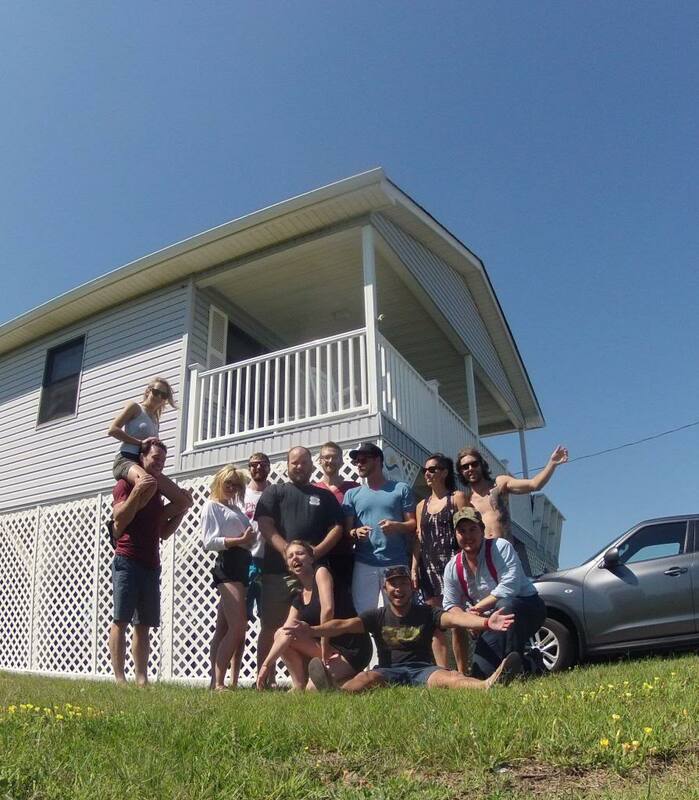 We decided to stay there that night and return to the house in Kill Devil Hills the next morning. When we returned the next day, everyone pitched in to clean the house and pack for the road. After departing the cottage Robin, Jasmine, Joey, Rebecca and I drove to the Cape Hatteras National Seashore. Once we parked and began walking to the beach, we discovered a stranded sailboat. 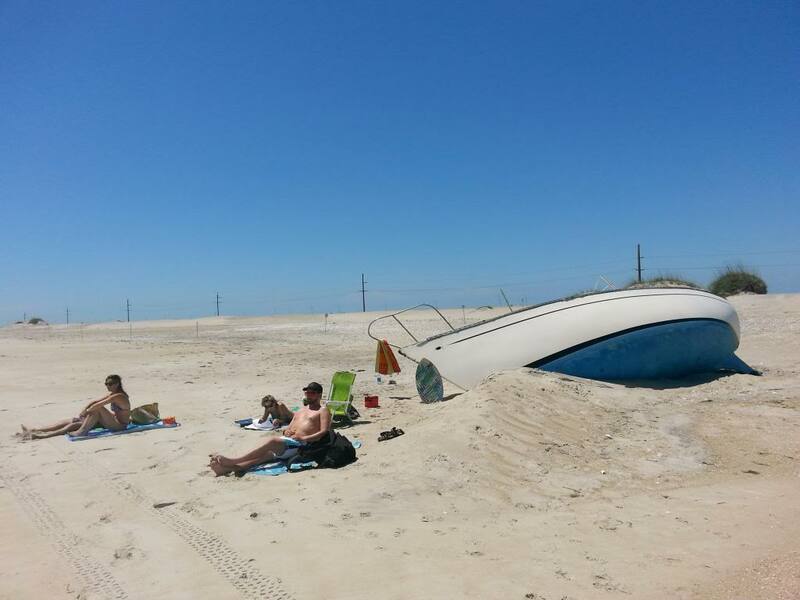 We took a look inside and decided to set up beside the beached craft. Eventually we packed up and headed home. It was a quick, but enjoyable introduction to the sunny summer days that lie ahead.